I admit, Day Twelve seemed a bit tedious to me. However, once I looked at the songs, I realized I recognized most of them. A song most will recognize from films, if not from the radio. It’s such a great song; you’ll want to snap your fingers and sing along. 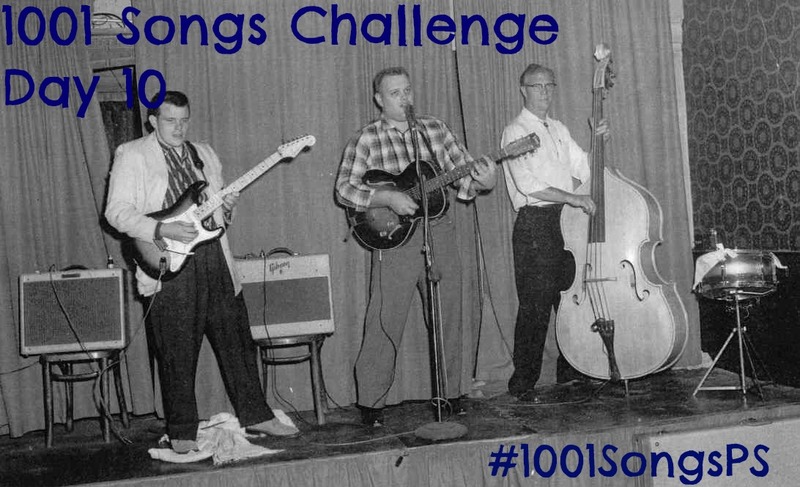 The last song featured for the 1950s section. It’s described as “folk opera” and it slowly comes into play. I actually found myself really enjoying it, especially because of its overall tone. Add in the scatting, and you’ve hit gold! There’s something very provocative about this wonderfully minimalistic track, with bluesy, dramatic vocals, and pure character. Definitely on my list for the tracks I’ve enjoyed so far. One of my favorites. I admit I love singing along to this in the car. If you haven’t heard this song, you desperately need to. I love the original, as well as the Michael Buble cover. There is something so incredibly powerful and beautiful about the vocals on this track. I can’t help but be a bit fascinated. I love the pure-Jamaican vibe of this song. It’s got a wonderful style to it, and lots of flair. There is a wonderful, jazzy feel. It is a stand-alone track that is difficult to ignore. The beginning of the girl-group era. This song has a great melody to it, and is genuinely catchy. I also love its subtlety and its risqué meaning. Seriously. Read the lyrics. Another song destroyed by American commercials. I just can’t listen to this song with a smile on my face. I’m sorry, Everly Brothers. You’re cool and all, but commercials that play on a loop are not! Bow down to Ella Fitzgerald. She really was perfection. Each line is sang with such genteel and grace, I admit to a case of goosebumps, especially as she croons, “When you reach September…” There is something heart wrenchingly perfect about this slow-paced love song. Day Twelve was exciting. I was glad to finally reach the 1960s. I’m looking forward to more Motown and, partially, looking forward to hearing songs from the British Invasion. KIVEN, comprised of Tyler Demorest, Matt Cohen, Danny Schnair and Jake Reed, recently released their self-titled album on February 25th. Merging thick guitars and entrancing harmonies, the record properly captures the group’s heavy and hypnotic sound, preserving its enigmatic intensity and ethereal spirit in the process. The album was recorded at EastWest Studios and Pie Town at MixLA and is available on iTunes, here: bit.ly/1ppWED2. **Supporting acts include Beware of Darkness, Ben & LP Formerly of Yellowcard, Treetop Flyer, Feelgood, Stevie and the Hi-Staxx, The Royals, Archbald, The Feeling of Falling, Knights in Color, HARPS, Garrett Lee Robinson, Immigre, and Beat Club. Sonic-storytellers Lost In Los Angeles (LiLA) have just released their video for “Cloud City”! The band teamed up with USA TODAY to premiere the video, which features Hurley model Rosie O’Laskey, and is directed by Steven Lippman (All American Rejects, Incubus, Ben Harper). “Cloud City” is the first advance single off of LiLA’s upcoming full-length album, Love Is Fate, set to be released in Summer 2014, and to be produced by Omer Avni. Cloud City (Single & B-Sides) is now available on iTunes and major digital outlets worldwide. You can watch the video below! First of all, let me apologize for my lack of updates. I have been ridiculously busy and had no time. The good news is, you’re in for a treat! I have tons of pictures to share from the Taking Back Sunday, The Used, Tonight Alive, and Sleepwave show the other night. But for now, onto the classics! Day Eleven was one I was dreading. My first day back after a few days off, and I was convinced I was going to hit a roadblock and not want to listen at all. I am very pleased to report that I was wrong. Ahh, Sinatra; the good stuff. You want to hear a true classic, you let Sinatra’s voice fill your room. If you say you don’t want to dance or sing, you’re a dirty liar. This track was his breakthrough from teen sensation to icon, and it is fabulous. There is so much conviction and emotion behind Sinatra’s voice, that it is a truly memorable song. The piano melody featured is familiar, but I am almost positive I’ve never heard the actual song before. I found myself enjoying it, especially because it produced a feeling of nostalgia in me; I felt like I was back in French class while my teacher tried to “immerse” us in French culture. Serge Gainsbourg’s rapid French only adds to the song’s charm, surprisingly. This is a beautiful song, and I remember loving it as a kid. Mind you, I was used to a cover with a more rapid pace, but I think that has helped me fall in love with the original. A perfect Italian track! I actually like this song. I think it’s a sweet love song, with a memorable sound that is indicative of the culture shift in the US during the 1950s; a very mellow/rock and roll sound had developed, and it was becoming more and more popular…the innocence is also there, “Gee wiz,” as a lyric is a sign of that (“Gee wilickers, Wally!”). There is a reason this song has remained a classic all of these years: it’s sweet, melodic, and relatable. Unrequited love will always be around, and there will be many more people to sing about it, even if they don’t carry off the perfect vocal harmonies featured here. The opening guitar of this track is iconic, and probably what sets it apart from the rest. There is a true rock and roll feel to this song, especially with the bluesy, “Baby, baby, baby”s thrown in. What a shame Vince Taylor kind of lost the plot towards the end. You may recognize this song on sound, especially during the opening notes. Ray Charles was an amazing piano player, as well as a talented vocalist, and Parts 1 & 2 of this song showcase that wonderfully. I’ve never been huge on this song, though that could be due to the fact that it’s been used in far too many annoying ads in the last few years. No matter what circumstances I hear it in now, I’ll never fully appreciate it, thanks to advertisements. There is a definite sadness and desperation in this song, in which Jacques is literally pleading, “Don’t leave!” With the heart wrenching piano melody accompanying his solid, emotional vocals, no one can resist the impeccable song. Completely classic. Most of us will recognize this as the track you would hear at every single wedding ever. 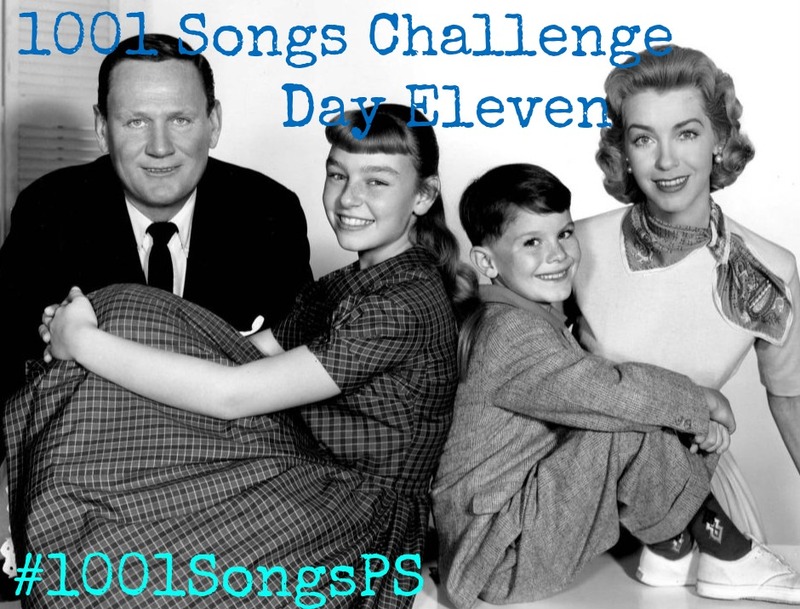 Overall, Day Eleven felt good, because I felt odd after not listening to ten classics a day for a few days. I enjoyed the mix of jazzier tracks and classic rock and roll. Each track was enjoyable, and most were recognizable. As I’ve said before, I really enjoy hearing the progression of each genre, and the development of artists. MisterWives is having one hell of a year! Following the release of their debut EP, Reflections, in January 2014, the Bronx-based band is back with a new video for the catchy title-track. The video showcases the group, comprise of Mandy Lee (vox), Etienne Bowler (drums), Will Hehir (bass), Marc Campbell (guitar), Jesse Blum (keys), and Mike Murphy (sax) running all around NYC. After spending 2013 touring with the likes of American Authors and the Royal Concept on the Three of Clubs tour, MisterWives are back on the road as direct support for The Mowgli’s across the US. 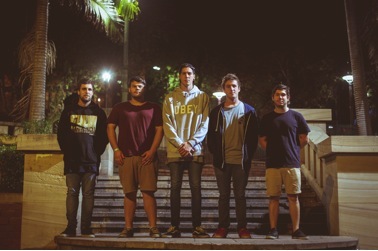 Check out their video for “Reflections” below! Printz Board, the Grammy-winning musician, songwriter, and producer, has just premiered a brand new track, “Mountains” exclusively on USA Today. “Mountains” is the second single to come off Printz Board’s highly anticipated debut EP, Pre Games,which drops next month. Check out the premiere of the “Mountains” on USA Today, here: http://bit.ly/PrintzUSAToday. “Mountains is a song about ‘struggle’. The little boy in the first verse is me. The mother in the second verse represents my Mom. Overall, the song is to say that there will always be struggles everyday, but you’re not alone – you’ve got soldiers to help you …with every valley, there is a mountain that follows,” Printz stated about his newest single. The first single, “Hey You” was released earlier this month, premiering on MTV Buzzworthy! You can check it out on MTV Buzzworthy and MTV.com, here: on.mtv.com/QS148M. 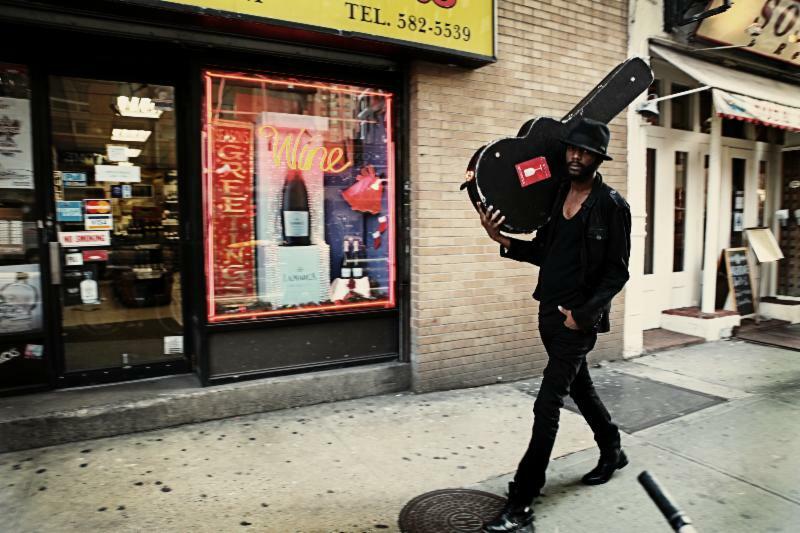 Singer-songwriter and guitarist Gary Clark Jr. has announced a series of July headlining shows, in addition to his summer festival appearances. The 2014 Grammy Award winner has been on the road with Kings of Leon and just completed a tour of Australia with the Dave Matthews Band. He will also perform several shows in Europe in May. Please click here for all upcoming tour dates. 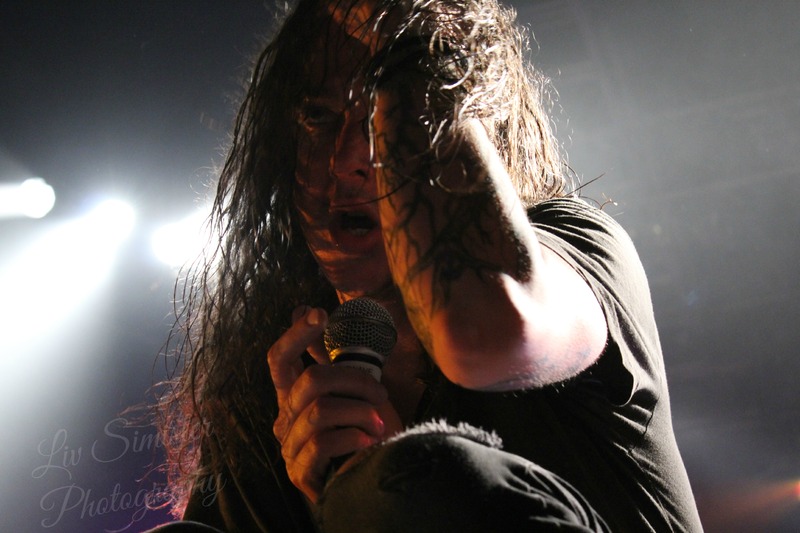 I am convinced that one of the requirements to be a band on this tour was: LEAD SINGER MUST BE A BUNDLE OF ENERGY. That’s one thing I clocked almost immediately. Each lead singer was electric. In fact, I would go as far as saying that each band had a buzzing energy about them, which is very much appreciated. After going to a few shows, it’s common to see one member of the group jumping around happily like a kid, while the rest just kind of stand around and “do their part.” Not on this tour. This tour was refreshing, like doing a cannonball into cool water on a blisteringly hot day. Sleepwave kicked off the sold out show, and finale to the tour, and shook the crowd. The St. Petersburg-based band is full of familiar faces during their live shows, which added to many of the attendees’ curiosity. While I had listened to Sleepwave before, and seen many of the live members in their other bands, I had never seen them live, and I have to say, I was impressed. Their set was energetic, crowd-pleasing, and interactive. They appeared to enjoy being on stage as much as the crowd enjoyed listening to them, which made for great entertainment. Next up was Tonight Alive. One thing I found amusing about this set was the reaction of male audience members afterwards: “Man, that chick was awesome. You never see a girl fronting a band like that, dude.” Perhaps a slightly ignorant comment, considering the many wonderful front-women out there, but I suppose it’s a decent compliment. 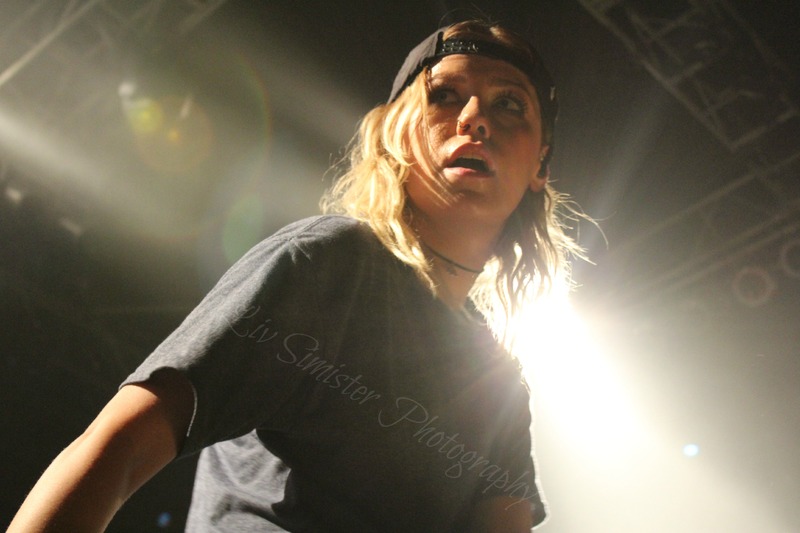 Jenna McDougall is a powerhouse who is truly awe-inspiring. After watching her dance and jump around on stage like she does, it’s incredible she still has the breath to belt out the words to the songs. The interaction amongst the group was fun to see as well; the sly grins and nods to one another as they played really solidified the image of “team” between each member. As Matt Best went to town on the drums, the crowd seemed to follow along, becoming increasingly excited. By the time The Used hit the stage, the House Of Blues had a real spark to it; the energy in the room was enough to generate the club’s electricity for the evening. The set for The Used was amazing, and almost impossible to tear my eyes away from. With stacked TV-boxes filled with lights, “USED” was spelt out across the stage, illuminating the crowd and adding a really cool feel to the overall set. The band shot out like a bat out of hell, with Bert McCracken jumping like a maniac, with infectious energy that quickly spread itself among the venue. As someone who was already a fan, I didn’t think The Used could impress me any more than usual, but I found myself in awe of their stage presence, which, pardon the pun, considering their set design, seemed to illuminate the whole room. You cannot buy good crowd-interaction, and it is steadily becoming a lost art form thanks to the now-common human inability to communicate face-to-face rather than screen-to-screen. The excitement for Taking Back Sunday pushed forward, and when the band hit the stage, it was like a balloon, slowly filling with air, had finally popped. The screaming and singing; even the dancing! It was like the night had hit a point where each concert attendee could no longer contain themselves, not that I could blame them. I was buzzing at seeing the group that had graced so many copies of magazines I grew up reading; whose songs had filled my room many a time, from when I was thirteen to now. I didn’t know whether to snap a photo or stare up at them and grin like an idiot. Their set, much like the other groups that evening, was full of fun and high-packed with a good dose of energy. 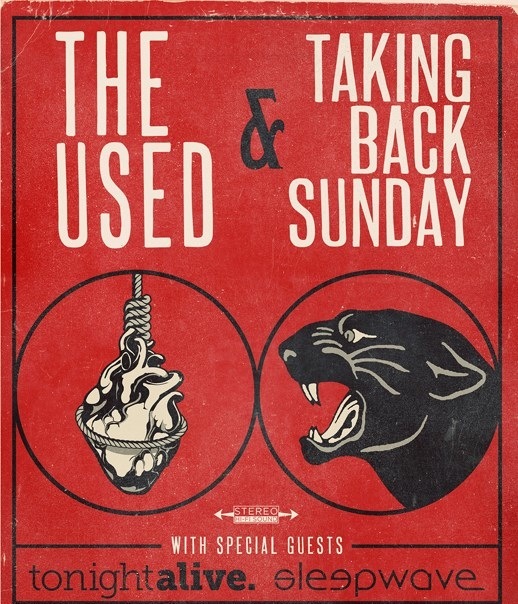 It was during Taking Back Sunday’s set that I recognized many of the characteristics of other bands I loved watching live; the way Adam Lazzara swings the microphone around his neck and all over the place, the certain movements Eddie Reyes made while focusing in on a chord. Just noticing those things made me realize how influential this band has been over the years, and it’s a very cool thing to spot, as is Adam Lazzara’s dancing skills. Seriously. Watch his feet next time he performs. He is surprisingly graceful. Overall, I found the show to be incredible. The line-up was perfect; each band seemed to compliment each other well without imitation. Below are two close-up shots I took. The rest of the photos will be live in the next two or three days on FACEBOOK. Be sure to ‘like’ us! As the 50s nears to an end, I find myself a little bit sad. I like listening to the tunes of the decade, with its mix of jazz and early rock and roll. This decade has a charm to it that has been popularized by movies and encased in its music. I recognized this by the sound, but I’d have never known it by name. For some reason, I want to say it was in Home Alone or a movie that was very similar, but I’m not sure. Either way, it’s catchy as hell. Cliff Richard is a name all too familiar to me. The “British Elvis.” I don’t mind this song. It’s not my favorite so far, but I do like some of the vocal melodies used during the verses and such. Now here is a song I know well! My family used to sing it all the time, and when I was in elementary school, we had to read a short story on Ritchie Valens and “La Bambas,” as well as watch a film about him. It’s one of the things I appreciate about growing up in a very Latin area of the US; I got to learn about many artists that I probably wouldn’t have in a more homogenous place. There is a noisy quality to this song, and despite rapid-fire lyrics, they’re not as complex as some that have been of note throughout the challenge so far. But that might just be a personal thing. Either way, the saxophone on this song is fun and well-timed, which makes the song enjoyable. This is really more of a dance-focused song, with a sound very similar to today’s modern children’s program theme song. This is a song that pushes the boundaries, going into a story, even with a full, developed character like Lee Shelton, a real man who shot his friend following drunken fight. The saxophone solo is incredible. Classic rock and roll with such a breezy tone. An angst-ridden teenager, strumming away as he sings about teenage rebellion and outrage, Eddie Cochran is wonderful. The song is an epic combination of country and rock. Definitely a favorite on today’s playlist. Rich. That’s the best way to describe this song. It’s soft and beautiful, with the stunning tone of Henri Salvador. Everything about this track melts like warm butter. Stunning. I love how simple this song is; Ricky Nelson plucking on an acoustic guitar, crooning about heartbreak. Each line is artfully pieced together, and it all just flows beautifully. Another one of my favorites. This song is ridiculously provocative and, when sang correctly, comes across as very sultry. Of course, Ms. Peggy Lee owns this song, and really makes it a memorable tune. I’ll own up to it: I sang along to a few of these songs…no shame. I love how well-crafted the majority of them are. 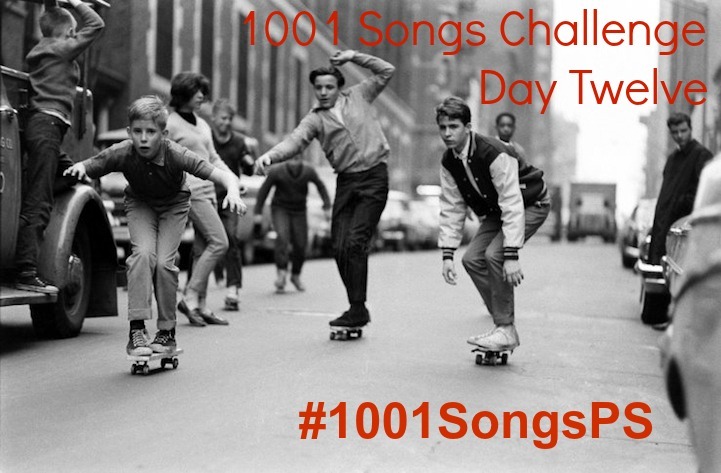 However, the more I do this challenge, the more it makes me feel a bit sad that the music that is most popular now is not always so well made and that’s how my generation will be remembered. Not for the amazing artists that deserve recognition (and sadly, don’t always get it), but for the ones who just do as a label tells them to. No questions asked.